We can always rely on a good, solid pair of demin jeans when we find ourselves struggling to work out what to wear. And one of our favourite high-street shops, Marks & Spencer, are one of our go-to options when we’re on the hunt for a new pair. And in fact, the retailer has actually just launched their new ‘Best Ever Fit’ line of denim jeans, a ‘super-soft, figure-flattering’ collection available in a range of styles. Comfortable and chic? Sounds good to us! There are three designs; The Sienna, a straight fit, The Ivy, a darker wash skinny fit, and The Lily, a lighter denim leg-lengthening slim fit. Meet the three new jean styles that make up our Best Fit Ever denim range. The Lily (slim), The Ivy (skinny) and The Sienna (straight). 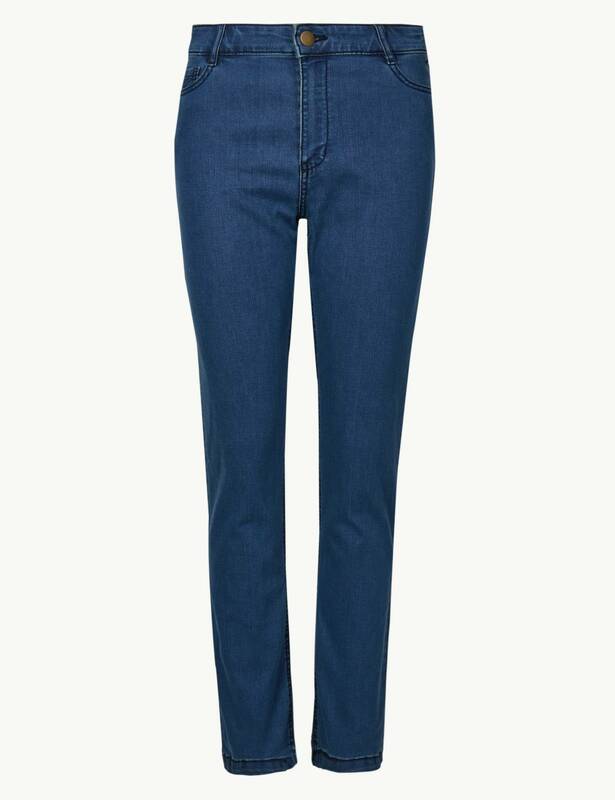 Each jean features no gape waistbands, bum enhancing pockets and are made of super soft, figure flattering denim. Available in 3 washes and starting at £19.50, you’re going to love them. All the new styles are on sale for just £19.50, a super-affordable price that means you can pick up a pair of all three if you want! M&S’s new jeans will be available in store and online from 16th February, so get yourself down to your local store this weekend and treat yourself! With such a good variety of jeans on offer, it’s perhaps no surprise to hear that shoppers across the UK are huge fans of the retailer when it comes to denim. In fact, M&S’s denim jeans are so popular that they seem to be literally flying off the shelves, with the shop exclusively revealing to Woman & Home online that in 2018, they sold 10 pairs of jeans every minute! That’s 600 every hour – a pretty impressive number. And overall, it means Marks & Spencer sold a whopping 5 million pairs of jeans last year. Their most popular types of jeans have proven to be their denim jeggings – the form-fitting trousers that look fabulous on just about any figure. But best of all, the jeggings are also one of Marks & Spencer’s most affordable fashion buys too, on sale for just £15! The jeggings come in many different colours too if you fancy mixing up your demin collection – choose from a classic black, to a lighter blue, or, be daring with a bright and bold red. You can pick up a pair online here. However, if jeggings don’t take your fancy, M&S have plenty of other denim options on offer for your wardrobe. One of our favourites are the mid rise, slim fit jeans, on sale in a light-wash denim which are perfect for more casual occasions. These are available for £25, meaning they also won’t break the bank in you’re planning on a frugal February. There’s also the classic high waist skinny jeans, which have been a very popular option on the high-street over the last few years. Marks & Spencer’s are on sale for only £19.50 – a bargain. Buy yourself some here. 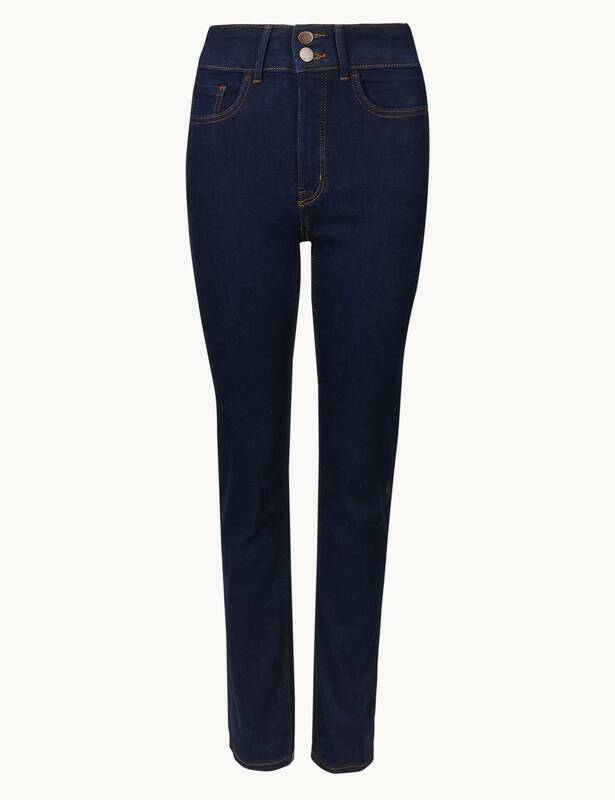 Their Per Una range also stocks these very chic straight leg jeans, which are part of their Sculpt and Slim line, designed to have a “flattering effect on the tummy” as well as “accentuate your waist”. This pair of M&S jeans are slightly more expensive at £35, but we still reckon that’s a brilliant price for a pair that’ll flatter our figure. So which pair of jeans are your favourite? Will you be joining the 5 million M&S denim fans and picking up a pair?